Precision Locksmith was founded in April of 2007 by James Barthelemy, a professional locksmith from Crossville, Tennessee. Relocating to Covington, Georgia in the spring of 2007 offered James the chance to found his own service to serve the people of Newton county and the surrounding areas. With over fifteen years experience as a locksmith, James brings extensive knowledge of a spectrum of locks and security products. 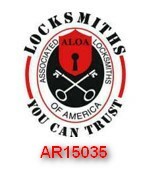 Our goal is to be the best locksmith service possible. Friendly, courteous, and prompt service are the core values that define our business. While we cannot always guarantee the lowest prices, we strive to price our services and products competitively. We only employ professional methods in our work, we never cut corners to get our work done and we use the best products available for the application whenever possible. We opened a storefront in January of 2013. Located at 1149 Monticello St. SW Covington, GA 30014. Just off the historic square in downtown Covington, we are there from 9AM to 5PM Monday through Friday seven days a week. Weekend work at the shop is by scheduled appointment. The shop is the place to come get keys made, see our specialty hardware in person, and to get advice from our techs about any of your needs. Give us a call next time you need the services of a professional locksmith for your home, business or automobile.